Tesla was in many ways the opposite of Thomas Edison. Edison was never known as a brilliant man, but as a methodical, determined one. "Genius is 99 percent perspiration and one percent inspiration, " he once said. Tesla was a nearly unparalleled genius, but lacked the business intuition and common sense of Edison. Edison died rich and one of most famous men in the world, while Tesla died penniless and alone, feeding pigeons. Tesla's legacy includes the first working large-scale hydroelectric power station, and the first remote control demonstration. (A remote control toy boat, but still.) Tesla was also among the first scientists in the world to take X-rays, to design a fluorescent lightbulb, and (probably the first) to discover the ideas of radio transmission and radar. He wirelessly lit lightbulbs several feet away and found experimental hints of the resonant frequencies of the earth's atmosphere, which were not to be theoretically and experimentally validated for another 50 years. He died owning roughly 300 patents. After years of wildly successful invention, Tesla began to lose his way, making grandiose, eccentric and sometimes completely impossible claims. He fervently spoke of building a "teleforce weapon" capable of melting steel wirelessly from 200 miles away. Upon his death, a box supposedly containing a death ray part was found to contain only a basic piece of old equipment. Tesla believed that he could create a camera to project a brain's thoughts onto a wall. He built a 187 foot-tall tower to try to wirelessly convey electric power across the planet, using the earth itself as an enormous electrical conductor. He wanted to harness the entire sphere of the Earth as a power line! Upon picking up odd signals at one of his labs, Tesla believed that they could have been sent from Mars by using that planet similarly as a conductor. Celibate his entire life, Tesla became lonely and slightly paranoid in his elder years. He claimed to keep his ideas inside of his brain to keep them from being stolen. He was suspicious of twentieth century physics, as explained by Einstein and others. OCD traits began to hamper him: he could not tolerate round objects, human hair or touching things that might have germs. He was supposedly obsessed with the number three. Tesla's reputation has grown through many tall-tales: he allegedly caused an earthquake; it was said that he could fell steel buildings and bridges with a pocket-sized machine; he allegedly transmitted electricity 26 miles without wires. It is disappointing that these stories are almost categorically untrue. However, the simple fact that they exist and, like most myths, do have some far-diminished basis in reality is proof of the man's legend. Wireless electrical energy over seven feet became 26 miles and eventually "free energy" from the vacuum. An entire conspiracy theory movement has formed around Tesla's "hidden" or "suppressed" inventions and ideas. The United States government also unwittingly contributed to Tesla's legacy of mad genius. Shortly after his death in 1943, the FBI seized all of his belongings. 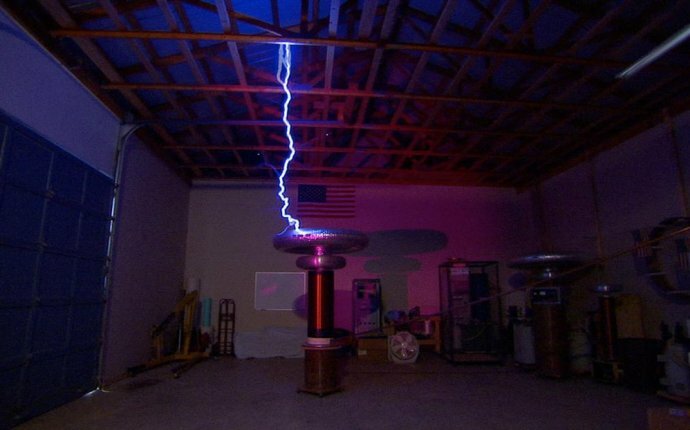 Nikola Tesla never created free energy from thin air. He neither created earthquakes nor built a death ray. He did however, make enormous contributions to the world, leaving us with a fascinating historical character, and some beautiful lightning machines.